As I sit and write this, I’m currently attending the 2014 Bianchi Cup. For those not familiar, the Bianchi Cup is technically the American national championship for the shooting discipline of NRA Action Pistol. Every two years, NRA AP holds a world championship match. Previous matches have been held in Australia and Germany, and 2014 it was the USA’s turn. 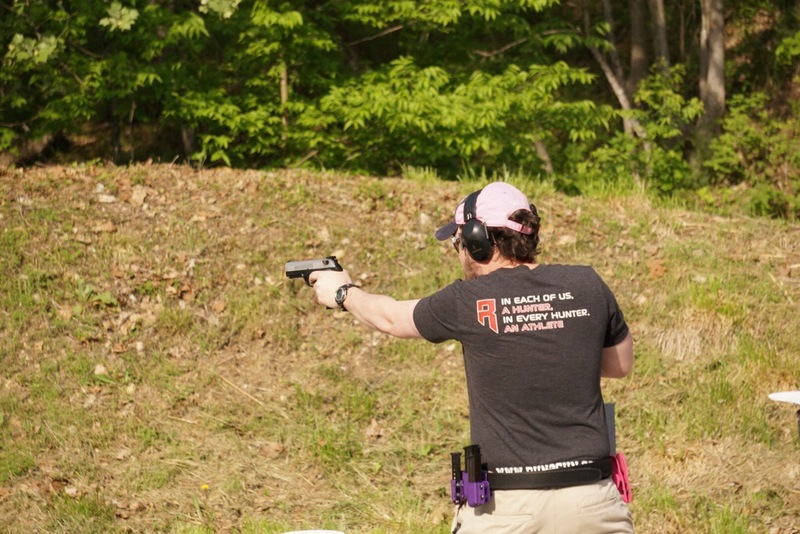 The venue selected was the famous Rockcastle Shooting Center in Kentucky, just a short drive north of Bowling Green. It’s impossible to have a discussion on a match at Rockcastle without mentioning the amazing area it’s in. The Park Mammoth resort in Kentucky offers everything, not just shooting. Hiking, caving, even golf can be had there. As mentioned it’s also a short drive from the Corvette Museum, a must-see for any proper petrolsexual. On site there’s a hotel, a pretty awesome restaurant, and of course the shooting facilities. Well, unless you’re shooting an NRA AP match. Due to limitations of the range, only two of the four classic AP stages were set up on Rockcastle proper. The Mover and the Plates were on the resort property, and the Barricade and Practical were set up at…another facility. Which was also good, but it was a solid 15-20 minute drive from Rockcastle itself, and if you’re a city boy the roads you had to take to get there were adventurous, to put it mildly. That sort of set the tune for this match. The match itself was an uneven experience. The stages, despite complaints were mostly fine. While they certainly weren’t up to the standards set by the Bianchi Cup, there were more than adequate. So, stages: good. The match staff themselves were courteous, professional, and squared away. Everything I’d expect from a facility as well regarded as Rockcastle. However, it wasn’t all great. See, there were problems, and those problems were the scoring. That was, for lack of a better word, an absolute clown show. At 6pm on Saturday, the awards dinner “began.” At 9:30 pm, the scores were actually finished being calculated, and trophies were handed out. At 10:30, I left because I had literally no patience to wait while they recalculated the aggregate score. I have a lot of respect for the team at Rockcastle. They have an amazing facility, and they put on literally the best 3-Gun matches in the country. But the way the scoring was handled at the NRA AP World Championship was disappointing, to say the least. Now, let’s move on to my performance. I’ll cut to the chase: I shot better than I thought I would, and worse than I could have. I finished with a decent 1717, good enough for a 10th place finish in Production. My first top 10 of the year means I’ll be donating some money to charity. However, I dropped 7 plates on the Falling Plates, and left a lot of points on the board on the Practical as well. So, I’m happy that I broke 1700 in a main match, but I definitely could have shot a bit better. Until the World Championship, my best main match score had been a 1698 in 2012. Yes, I had shot a 1750+ in 2012, but that was in the Agg so it doesn’t count for a main match score. This year I’m in no danger of reaching that Agg score anyway, after a dismal Barricades and worse Plates. But at Rockcastle, I shot a PR, and that felt good. It just didn’t feel as good as it could have. I was super relaxed, shot pretty decently, but there was something missing. It was a feeling of meaningfulness from the match itself. I feel like I shot my best score at a large club match, not a world championship. National level matches, world level matches should feel special. The Bianchi Cup feels special each year. It feels important. Steel Challenge used to, and maybe someday it will again. The World Championship was missing that feel, and regardless of anything else, if a match doesn’t feel special, it won’t be. The scores didn’t just take until 9:30pm to do, but they were also wrong. I know for at least two awards the shooters did the math independently and swapped awards because Rockcastle’s staff got them wrong. Thankfully neither of those awards came with guns.